Employment for heavy equipment operators is growing, be trained and ready. Learning how to operate a backhoe is made easy at Heavy Construction Academy. Our training is tailored to anyone interested in a heavy equipment operator career, from veterans and recent high school graduates to experienced laborers looking for a new career path. Take The First Step. Call Us Today! 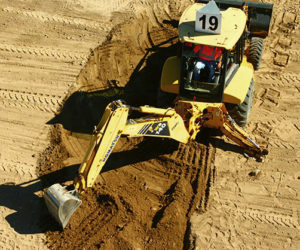 Wondering how to operate a backhoe? Wonder no more. Our heavy equipment training programs are taught by industry professionals with many years of experience in construction. Instructors are proficient and certified, as will you be upon graduating from our school. Call 888.772.9002 today and join the nation’s fastest growing industry!